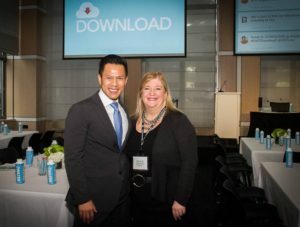 For the 4th year in a row, Jimmy hosted DOWNLOAD NY 2016 – the annual digital tech conference in New York run by Davis Wright Tremaine LLP (where Jimmy was a partner until February 2017). In addition, Jimmy delivered an opening key note presentation entitled “A Digital Life: New Platforms for Business Growth” – talking about how businesses can succeed in today’s digital life. Other session topics included online tracking, blockchain technology, virtual reality and digital China.